At last you can have the flooring you love without fear of injuries due to slips, WET OR DRY! Tile, marble, granite, wood, vinyl, mosaic, tubs, showers, ramps, etc. can meet and exceed OSHA- and ADA-compliant slip resistance (Coefficient of Friction, or COF) levels. In fact, it far exceeds the safety criterion of any slip resistance test there is! When dry, SparkleTuff™ has the same traction as an NBA basketball floor. And wet or dry, SparkleTuff™ is kind to bare feet or paws. SparkleTuff™ Anti-Slip is safe and easy to apply (just one coat needed!) and is easy to clean. This exclusive super-tough anti-slip floor coating has outstanding wear and chemical resistance, including resistance to acids and alkalis, and can also be used for underwater applications. It has excellent weathering and dirt pickup resistance and strong anti-corrosive characteristics. SparkleTuff™ Anti-Slip is a transparent, durable high-gloss floor coating that is HIGHLY SLIP-RESISTANT wet or dry. It is very resistant to liquids (including chemicals) and stains. It can be used indoors or outdoors and on any ADA accessible surface. Working time is 1.25 hours after mixing a batch of the two components. One gallon covers 400-500 square feet. Drying time is 6-8 hours for light foot traffic. It contains no VOCs or solvents. Looks great — no slips! SparkleTuff™ Anti-Slip coating retains its transparency and gloss far better than practically any other floor topcoat, including the best-of-breed epoxies and polyurethanes, while providing incredible slip resistance. It does not require burnishing, and so less aggressive cleaning with safer cleaning agents and softer bristle pads or brushes is possible. A special roller cover is required, sold only here, for best results. Here is a SparkleTuff™ Anti-Slip flyer. *Shipping charged on orders less than $120.00 only. SparkleTuff™ Anti-Slip provides a glossy finish that helps protect the coated surface from wear and damage while greatly reducing regular and costly maintenance such as stripping, polishing and waxing in a range of facilities including hospitals, schools, airports, restaurants, markets, hotels and resorts. An estimated 86% of floor care cost is labor. SparkleTuff™ Anti-Slip can eliminate up to 70% of that cost. When it is time to re-coat, simply add a fresh coat right over the existing coat. Quick and easy, once every 3 to 10 years depending on foot traffic. Properly applied and maintained, it will keep its slip resistance even when 500,000 – 1,000,000 people have walked over it! This stuff is REALLY tough and long-lasting! Sustainable — SparkleTuff™ Anti-Slip is a great way to make facilities more “green” compliant. Stripping, burnishing and re-waxing floors emits air pollutants, creates chemical by-products and waste and consumes precious commodities such as electricity and water. With its unique chemistry and composition, ease of use and outstanding durability, SparkleTuff™ Anti-Slip Floor Coating is now the obvious choice. 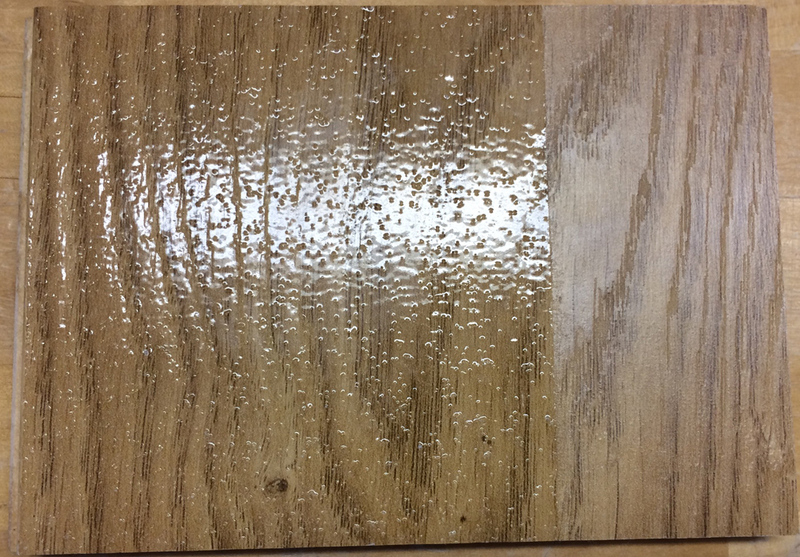 The coating will have hardened sufficiently after 8 hours to permit foot traffic and will have developed liquid- and stain-resistant properties. The chemical integration of the resin matrix will continue over the next 48 to 72 hours, at which time it will achieve its optimal abrasion-, chemical- and weather-resistant properties. 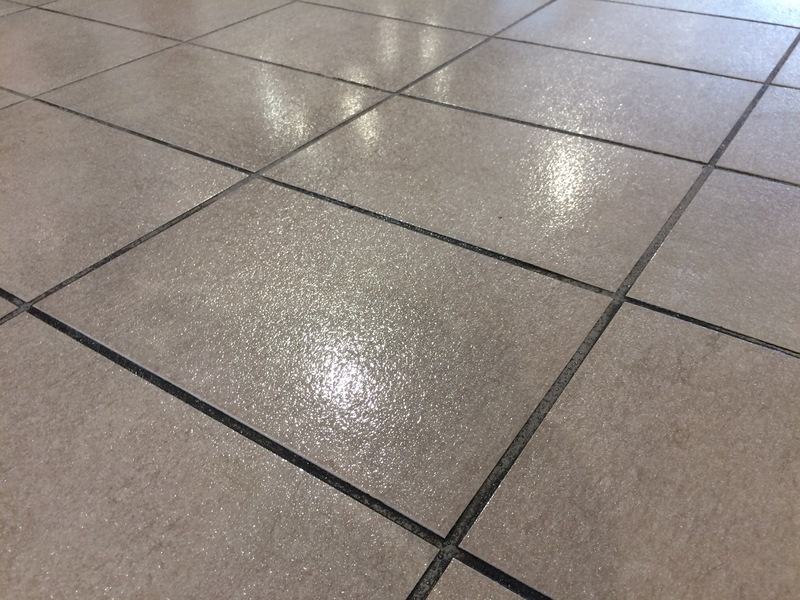 The price of SparkleTuff™ Anti-Slip floor coating is about $1.10 per square foot, depending on quantity. (Much cheaper than a broken hip.) This may be the biggest breakthrough in slip-and-fall safety for centuries. There is no tougher or more effective transparent anti-slip coating available for floors today. SparkleTuff™ Anti-Slip Floor Coating is the toughest, most durable, most anti-slip floor coating available anywhere! It’ll really make your property sparkle! For more information, here is a SparkleTuff™ Anti-Slip flyer. Area coverages are approximate and may depend on the texture and porosity of the surface. Please call 949-582-0889 with any questions. Here is the Safety Data Sheet (SDS or MSDS) , both Part A and Part B, for the product, and the Technical Data Sheet (TDS). Here are answers to Frequently Asked Questions (FAQs) for SparkleTuff™.